Alerion Yachts has extended their reach from the ‘Express’ and ‘Sport’ line of daysailers to the new ‘Alerion’ series of cruising boats. 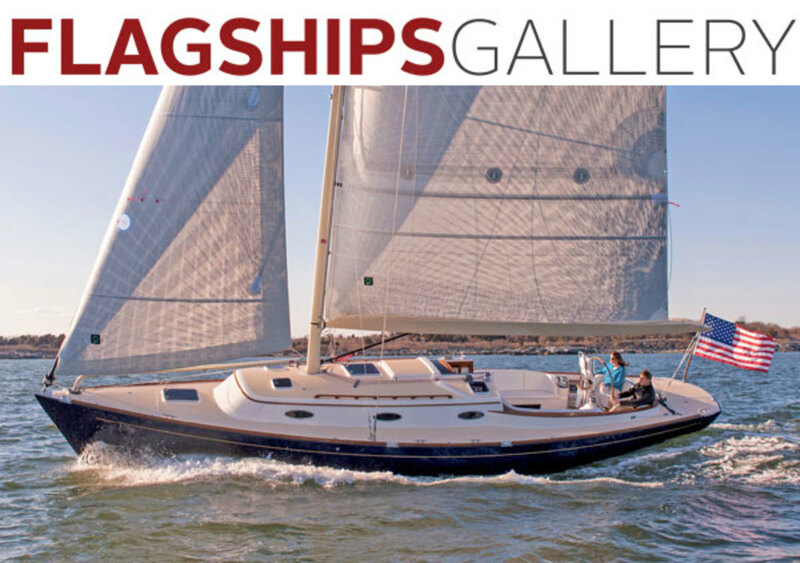 The Alerion 41 captures all of the daysailer spirit of its predecessors while boasting a finely finished interior for those that want to broaden their ‘Alerion Sailing’ experience. Alerion Yachts has extended their reach from the ‘Express’ and ‘Sport’ line of daysailers to the new ‘Alerion’ series of cruising boats. 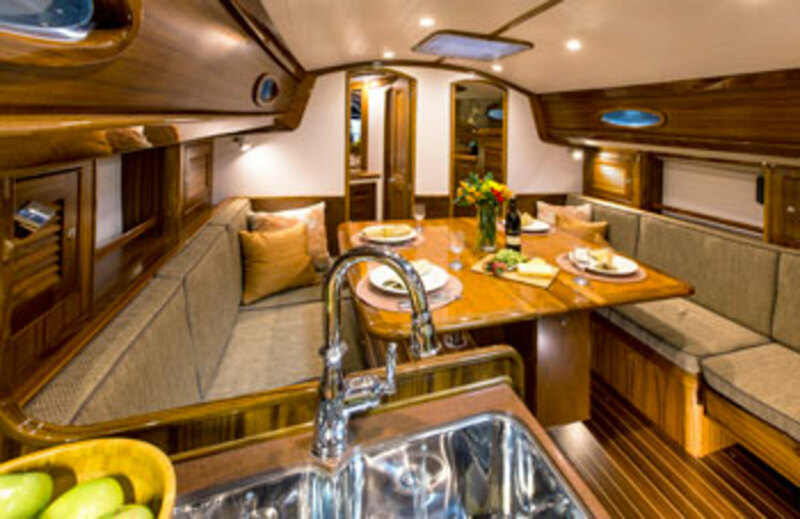 The Alerion 41 captures all of the daysailer spirit of its predecessors while boasting a finely finished interior for those that want to broaden their ‘Alerion Sailing’ experience. The Alerion 41’s traditional appearance, advanced underwater shape, sophisticated rig and infused fiberglass construction have produced a light-displacement boat optimized for coastal cruising. This boat is full of innovations that enhance the cruising lifestyle, so many that it took 41 feet to fit them all in. Her opening transom for swimming and boarding access becomes untraceable when not in use, preserving her beautiful lines. The folding anchor roller remains concealed until needed without impacting interior volume or the unmistakable Alerion aesthetic. Her standing headroom, luxurious main salon, and two exquisitely appointed sleeping cabins provide everything you need for coastal cruising without any extraneous weight to slow you down. The Alerion 41 cockpit is optimized for comfort without compromising thoroughbred performance. With a sailplan that is simple to handle, easy-to-maintain and allows you to be single-handedly underway in minutes, the Alerion 41 maximizes every moment you have for ‘Alerion Sailing’.